Blackberry’s KEYone smartphone is all set to be unveiled in the country today. The device was launched at MWC 2017 at a price tag of 549$. 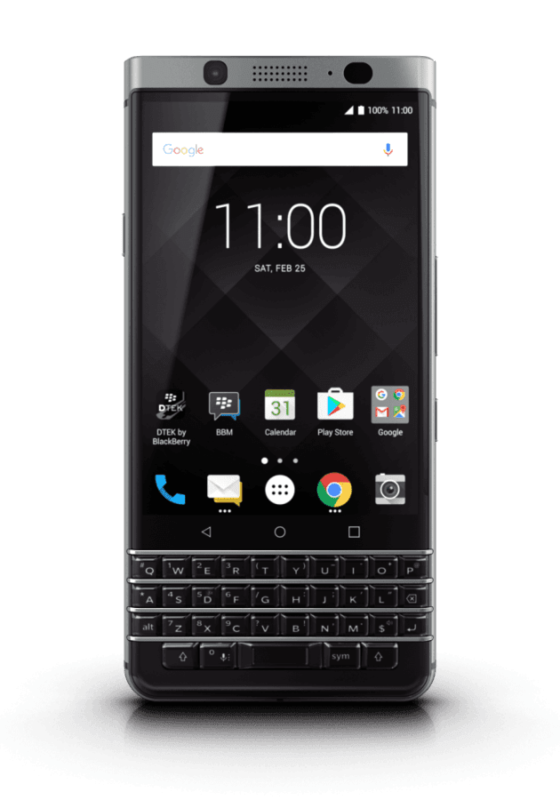 Since Blackberry has entrusted the authority of branding hardware for Blackberry phones along with designing to its partner TCL, this will be the last smartphone designed by the company itself. The USP of the device is its physical QWERTY keyboard, a rarity in smartphones now-a-days. The KEYOne features a 4.5-inch 1620 x 1080 IPS LCD display (433 PPI) with a fingerprint sensor underneath the space button. With 3:2 aspect ratio it bundles in 3 GB of RAM with 32 GB of internal storage expandable via hot swappable microSD memory card (up to 2TB). A capacitive touch on the entire keyboard enables scrolling while ‘flicking’ of predictions using the keypad assigns shortcuts to keys for actions such as browsing, triggering the camera or messaging app. With 52 keys comes 52 ways of defining shortcuts. Powered by Qualcomm’s Snapdragon 625 octa-core SoC clocked at 2.0GHz the handset runs on Android 7.1 Nougat. It is backed up by a 3505 mAh battery setup with Quick Charge 3.0 support. The ‘boost’ charging feature makes for upto 50% charge in about 36 minutes. Security software, another major highlight of the device is similar to the BlackBerry DTEK-series and comes with on-phone security tool preventing third party apps to use camera or mic without permission. The camera features include a 12 MP Sony IMX378 rear shooter with f/2.0 aperture, EIS, 4K video recording at 30fps, PDAF and dual-tone flash. There is a provision of 8 MP front facing camera with Image & video stabilization, wide-selfie mode, multi-frame low light enhancement and an 84-degree wide-angle field of view lens. The connectivity options include 4G LTE, Wi-Fi, Bluetooth 4.2, NFC, 3.5mm audio jack and USB Type-C port. The BBM messaging app and BlackBerry Hub would be pre-installed on the device. BlackBerry KEYone is expected to be priced around INR 40,000 and is likely to follow an August 8 launch in neighboring China.